STUDIO CITY, Calif. - July 15, 2017 - PRLog -- The talented and popular, Italian musical artist, Alberto Pibiri has signed a long-term contract with veteran Jazz producer, Shelly Liebowitz's SRI Jazz label. "I am proud to say that Alberto Pibiri is now where he belongs where his talents are recognized, nurtured and promoted, here at SRI Jazz", stated Liebowitz. Italian musical prodigy, and Internationally renowned star, Alberto Pibiri's musical journey began in Classical Music when he applied to the Conservatory Giovanni Pierluigi da Palestrina, where he completed his studies in five years, instead of the usual ten required for the classical piano curriculum. But Jazz was calling him from deep within so it was inevitable that he formed a Jazz trio after completing his Classical studies to perform the works of Oscar Peterson. 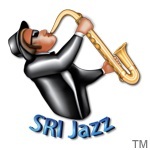 This magnificent talent is now part of the SRI Jazz family. The reviews say it all: "he has clearly established himself as a wonderful jazz composer, and pianist extraordinaire. Without a doubt, a voice to be heard!!" - Mark Sherman December 2011. "I met Alberto at the Veneto Jazz Workshop in Bassano del Grappa Italy. My wife and I were knocked out by his enthusiasm and positive energy. He just makes you happy to be around him". - Dave Stryker. "We are thrilled to have Alberto on our label and we know that he belongs with the other greats we record and distribute. His debut SRI Jazz album, "Jazz Legacy" (SRI Jazz 3645500) is scheduled for release in mid-August 2017 and major international radio promotion is planned. "Jazz Legacy" contains ten (10) original songs with guest appearances by Sheila Jordan, Jay Clayton, Adrian Cunningham, Miriam Waksand Dave Stryker. The lead single from the album is "For Oscar" a tribute to Oscar Peterson, a musical masterpiece", stated Liebowitz. It is Shelly Liebowitz's belief that if great music is not heard then basically it does not exist. It is, has been and always will be his quest to preserve classic American music for future generations. The Masters of Jazz, Blues, Rock and Country have created standards that the rest of the world admire but have never been able to duplicate. Producing and distributing great new talent is also a major part of our mission. The other member of our family is Golden Shellsongs Music, our music publishing division. Digital distribution for the SRI Label Group catalog is provided by Label Engine.